The epic tale of two teens in a fight to save a warming planet . . . the universe . . . and their love. A cli-fi quest full of romance, honor, and adventure. 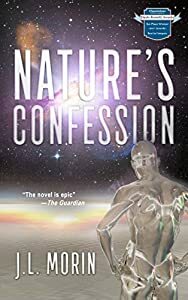 Best of a New Genre, included in "12 Works of Climate Fiction Everyone Should Read"
When a smart-mouthed, mixed-race teen wonders why the work that needs to be done pays nothing compared to the busywork glorified on holovision news, the search for answers takes him on the wildest journey of anyone's lifetime. Their planet is choked with pollution. They can't do anything about it . . . or can they? With the girl of his dreams, he inadvertently invents living computers. 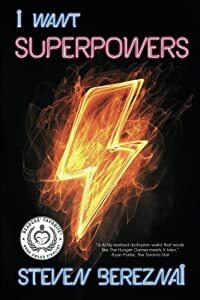 Just as the human race allows corporations to pollute Earth into total desolation, institute martial law and enslave humanity, the two teens set out to save civilization. Can they thwart polluters of Earth and other fertile planets? The heroes come into their own in different kinds of relationships in this diverse, multicultural romance. Along the way, they enlist the help of female droid Any Gynoid, who uncovers cutting-edge scientific mysteries. Their quest takes them through the Big Bang and back. Will Starliament tear them from the project and unleash 'intelligent' life's habitual pollution, or will youth lead the way to a new way of coexisting with Nature? NATURE'S CONFESSION couldn't be more timely, as world leaders converged to fight global warming with or without the help of the United States. With illustrations and topics for discussion at the back of the book, JL Morin entertains questions about busywork; economic incentives to pollute; sustainable energy; exploitation; cyborgs; the sanctity of Nature; and many kinds of relationships in this diverse, multicultural romance. 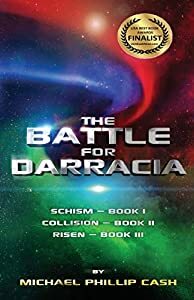 The Battle for Darracia Books I, II, and III, are now combined into one epic novel!On the planet Darracia, an ever-widening social gap between its inhabitants is causing turmoil that is fracturing a once peaceful world. Struggling with his identity, nineteen year old Prince V'sair must harness the power of the elusive Fireblade, the secret to a warrior's heart, in order to overcome his uncle Staf Nuen's lust for supremacy. Will the energy of the Elements guide the young prince to his true destiny or will Staf Nuen conquer Darracia? Emmett Wolfe has been preparing for this day for years, but still, cannot believe it is happening. An infection unlike any other has begun to spread across America and the world as he knows it is ending. He must rescue his daughter and ex-wife and transport them to a safe location. This is a post-apocalyptic novella of approximately 46,000 words. 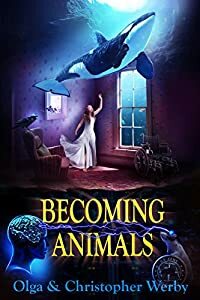 What would you do if you found a super intelligent dog only to discover he had valuable information inside his head that could change mankind forever? The first time I saw him, I had no idea he had recently escaped from a mysterious lab. That he had been created there. I'd been living on the streets which was tough, but preferable to home. Then one day, I stumbled upon this mangy dog being attacked. I saved him, but then he saved me, and I realized that Muttface wasn't a normal dog. He was crazy intelligent. I'm talking Mensa levels. When we sought help from a grieving veterinarian named Sully, his clinic was attacked and destroyed by mercenaries. So now here we are, the three of us. On the run across the country against a powerful enemy. Who are they and what do they want with us? Even if it means risking my own life. The award-winning creator & screenwriter of ground-breaking BBC television show, Spirit Warriors starring Jessica Henwick (Star Wars: The Force Awakens, Game of Thrones, The Defenders) brings you an action-packed thrill-ride in her debut novel readers unanimously raved about, describing it as a "Must-Read" and "Unputdownable". If you loved Dean Koontz's Watchers, Marvel movie Logan, Maximum Ride, and stories about dogs (and people) in desperate need of family and love, you will love The Chase Ryder Series. The Genetic Wars that turned most of the planet into a wasteland are over. The so-called "dregs" (short for "DNA regulars") and superpowered "Supergenics" now live separately from each other: the Supergenics in the shiny towers of Jupitar City, the dregs across the river in the squat concrete buildings of the boroughs. But Supergenic children are still born to dreg parents, and under repressive laws must be sent to live with their own kind. To find these special few, every teen faces their Testing Day. 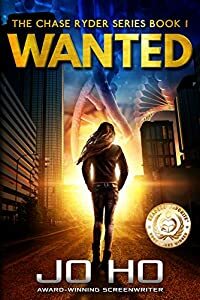 When her turn comes, socially isolated Caitlin Feral is determined to Manifest superpowers. If she fails, she faces a lifetime of loneliness and drudgery in the boroughs. But how much is she willing to sacrifice to be the supergirl she's always wanted to be? And when she uncovers dark secrets kept by both sides, does she dare start another war to reveal the truth? Tomorrow is the day. After months of tending the biomes, Lizzy will finally have the chance to step outside the colony and see the Martian surface for herself. Or at least, that's how things were supposed to go. But when she wakes for first expedition with a crippling headache, she finds that the previous week has started over. And no one seems to notice. The headache gets worse. Lizzy begins to remember things. Things that happened to other people. Like her best friend, or the boy who secretly falls in love with her week, after week, after week. As the memories become more vivid, Lizzy begins to realize that cadets have disappeared from their place inside the colony. A terrible secret is hidden within these gleaming walls. 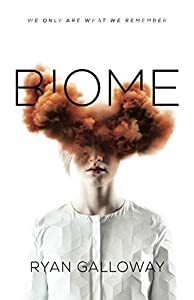 The doctors are not what they seem--and if they figure out what she knows, one thing is certain: Lizzy won't be the first to be forgotten. A new time. A new planet. A new world. New technologies. Two new humanoid species. A new war.The two species separate, but in the removal, some of the best are left behind among the worst. Captured and held as slaves, they are treated cruelly for entertainment. Torture. 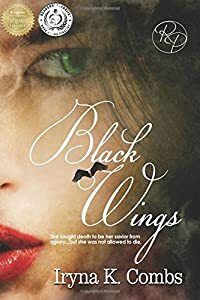 Pain.Annabel, endures a year of such cruelty, kept alive only by way of syringes which, while healing, cause a greater agony. She discovers a secret held by their leader, and decides to help her own kind by escaping-even if it means a final death, preferable to the life she has endured.Her escape succeeds, and she joins her own kind at the other end of the planet. Among her new friends she meets many who help her adjust to their happier life. Will Annabel find romance? Or will another war break her down? 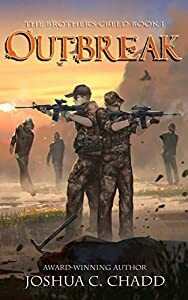 In their attempt to save a brother they barely remember, Devon, Lyle and Lawrence expose themselves to mortal danger and inherit a destiny that killed the last four guys cursed with it. 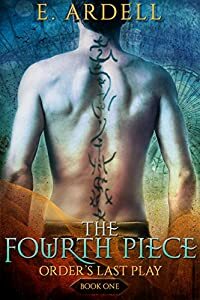 In 2022, there are humans and aliens, heroes and monsters, choices and prophecies—and four brothers with the power to choose what’s left when the gods decide they’re through playing games.